Zion United Church, New Hamburg may collect personal information from visitors to this website via online forms that are completed by visitors on an opt-in basis. Personal details provided will be treated as confidential and Zion United Church, New Hamburg will not sell or rent the information provided via such forms. Links to third-party websites on this site are provided solely as a convenience to you. Zion United Church, New Hamburg does not control, and is not responsible for, any third-party sites or for the content of such sites. If you decide to access any external sites linked to this site, you do this entirely by your own choice. 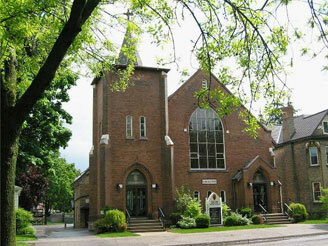 If you have any questions about the use of your personal details, then please contact Zion United Church, New Hamburg.